The US Defense Advanced Research Projects Agency (DARPA) announced a competition this April to demonstrate the ability to launch small satellites rapidly into orbit. It seems that problems with rules and regulations that may be encountered by participants in this competition may be much more difficult to overcome than possible technical problems. The DARPA Launch Challenge, which was initially presented in February and formally announced at the 34th Space Symposium, has a $10 million Grand Prize to win. This will happen to a team that will be able to launch small satellites into orbit twice in a short period of time using its own rocket, starting from two different locations. DARPA wants to achieve 'responsive launches', that is to access to space within days, not years. The commercial market for small satellites launches (10 to 1,000 kg) has revived significantly recently thanks to advances in manufacturing techniques and micro technologies and the development of autonomous take-off systems. DARPA wants to use this to transform the way national defence systems are developed. The key to these changes will be fast, flexible and responsive rocket launcher services. At the moment, it is expected that participants will have to carry out their first start at the end of 2019. The starting point will be announced only a few weeks before the target date, and the teams will have only a few days to integrate and launch the cargo delivered by DARPA. Any team that successfully launches its first cargo into orbit will receive $2 million and will have the right to make a second start, from another location, also being notified of the details shortly before the launch date. DARPA will then award prizes based on a combination of factors: time needed to launch, weight and precision in achieving the target orbit. The exact scoring process is still being fine-tuned, as Todd Master, the contest's director, informed during his speech at the Space Symposium conference. The winner will receive $10 million, but second and third place will also be awarded prizes of $9 million and $8 million respectively. Each team qualified to take part in the competition will receive $400 000. The idea for the competition came up as a result of talks between DARPA and an increasing number of companies, which are currently developing rockets designed to launch small loads. "We asked them what DARPA could do to help them succeed," said Fred Kennedy, Director of the Tactical Technology Bureau at DARPA. Information obtained by DARPA from these companies has led to the creation of an award competition aimed at ensuring that take-offs can be carried out responsibly. "Our goal is to achieve the full potential of the 21st century start", said Kennedy. This will be possible thanks to the many missiles that will be able to launch from different locations within a short time of reporting the need to launch the cargo, while keeping the price low. 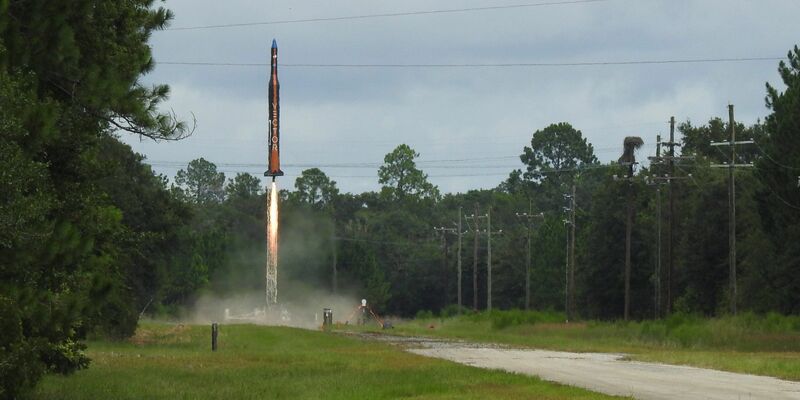 The competition aims to encourage developers of existing rockets to include the possibility of quick starts on demand in their projects and plans. "We are now seeing the development of a commercial small satelittes launch sector that, interestingly, fits into some of our goals of sudden start times and flexible take-off capabilities," said Mr. Master. "But from what we see, usually commercial customers don't ask for a particularly fast start. Participating in the contest is, of course, associated with technical problems that arise if you want to provide a cargo launch service in a short period of time, but the participating companies will also encounter obstacles in the form of regulations. The teams will have to obtain commercial launch licences from the Federal Aviation Administration (FAA), which are usually allocated to a single location. Although the National Space Council at its meeting in February supported plans to reform the licensing process, companies will have to seek multi-seat licences at the same time, without knowing whether they will have to take part in the competition. Todd Master claims that the reform of the rules regulating launches will be part of this competition. "Even with what we want to do in the competition, we are beginning to put pressure on the FAA procedures. He also said that DARPA was working with the FAA on ways to grant a broader participant license that would allow participants to start from different locations and not just from one location and a specific trajectory. "An important result we want to achieve is that we have streamlined procedures so that we can all act more quickly. DARPA is due to provide more details on the competition as early as the end of May.